We believe that great food can be accessible and affordable for everyone. We believe that you shouldn’t need a dictionary to understand the menu. Some people believe that Berkeley is too forward thinking, or even un-American. We believe that Berkeley is uniquely American. Americans speak out for injustice, Americans believe in the power of the people. Many great social movements either began in Berkeley or were given strength by UC Berkeley’s unique voice. Our beautiful building has been around since 1926. It has born witness to Berkeley’s unique contribution to many historic events of the 20th century. 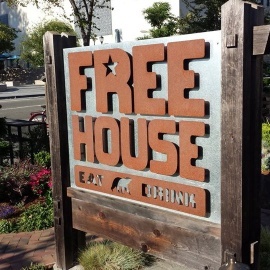 Formerly owned by the Presbyterian Church, our dining room was a haven and protector for students self expression at times that those in charge did not always believe in this freedom. 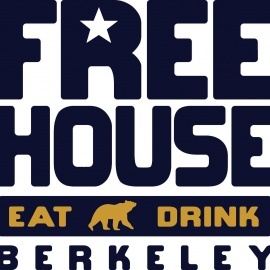 Indeed, during the Free Speech Movement of the early 1960s, Reverend John Hadsel invited the organizers of the FSM into the space that is now our dining room when they were not allowed to congregate on campus.